A public pay phone can be found near the park along Oregon Highway 86 (Oregon 86). Obey all campground rules and keep motorized vehicles within the posted speed limit. 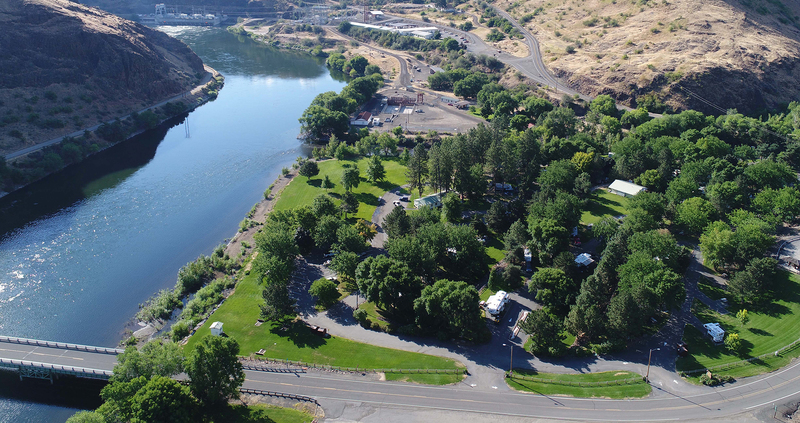 Copperfield Park is downstream of Oxbow Dam on the Oregon side of the Snake River. The park was built in 1965 on the old town site of Copperfield, Oregon. Copperfield was a mining town known as “the rowdiest town in Oregon” in the early 1900s. Fire destroyed the town in August 1915.